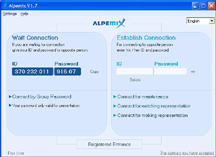 Both sides can use Alpemix.exe for the establishment of a connection. If you want your company logo and welcome message to appear on the screen of the side on which the connection shall be established and if you want a plainer screen, then you can use the following modules. 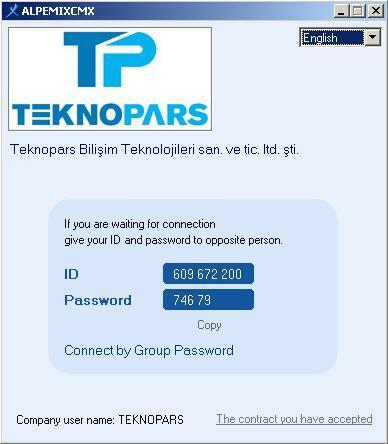 In this case, you can use Alpemix.exe and the side you shall connect to can use AlpemixCM and AlpemixCMX. The following modules can be used in order to integrate the program into your own software. The following modules are not needed, except for these cases.